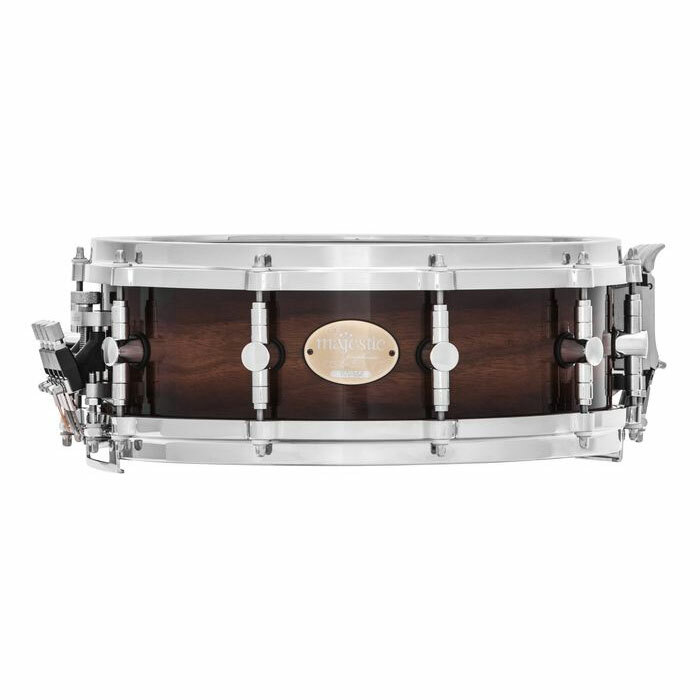 The Majestic 14" x 5" Prophonic Walnut Concert Snare Drum is a beautiful and versatile drum. It has solid die-cast tension hoops with ten tension lugs to get the best head tension and the best sound. The coolest part? There can be four different types of snare material used at the same time and can be adjusted at any moment with the throw-off levers.